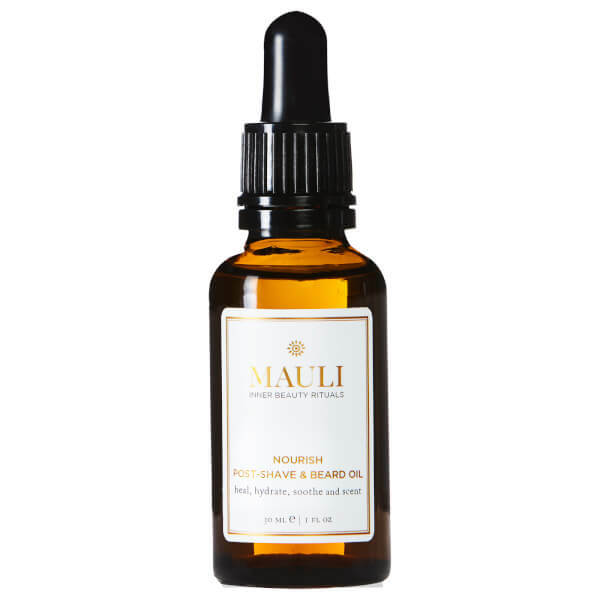 Combat irritation, inflammation and redness with the Nourish Post-Shave and Beard Oil from ethical British-based brand Mauli. 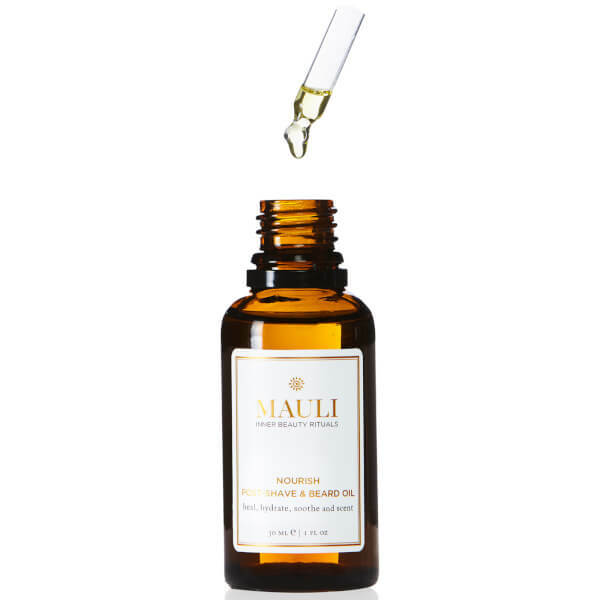 Fusing together opulent therapeutic oils and inspired by Aryuvedic wellbeing treatments, the hand crafted formula balances rejuvenating Moringa, reparative Argan and emollient-rich Coconut to help condition skin and facial hair for a cleaner shave. 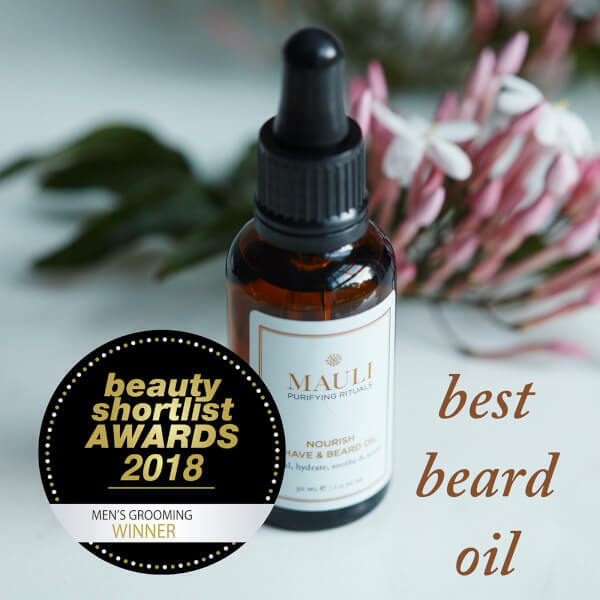 Seeking to alleviate itchiness and ingrown hairs, the nourishing blend softens coarse stubble while helping to heal the skin beneath to facilitate a smoother regrowth. Rapidly absorbed, it’s imbued with an uplifting natural aroma of sweet Blood Orange, delicate Geranium and zesty Coriander with a base of earthy Sandalwood and Vetiver. An opulent addition to any grooming regime. Free from water, alcohol, parabens, sulphates, chemical preservatives and unnecessary additives. A little goes a long way, so if applying as a healing, conditioning and scenting aftershave, put 3 drops in the palm of your hands and rub together before massaging onto clean, dry skin. For maximum benefit use immediately after shaving or shower, when skin is warm and damp. Try using a drop to condign and tame unruly brows. 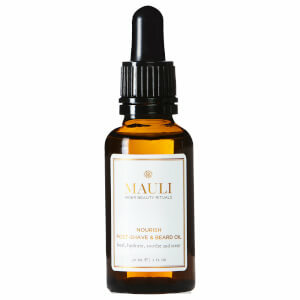 Oils of: Moringa, Sweet Almond, Coconut, Blackseed, Argan And Watermelon Seed. Neem Extracts. Therapeutic Grade Essential Oils Of Lime, Sandalwood, Patchouli, Geranium Blood Orange, Rose Otto, Coriander, Jasmine Sambac, Davana, Lotus Root, Champac, Ambrette Seed And Vetiver. Rosemary Antioxidant.